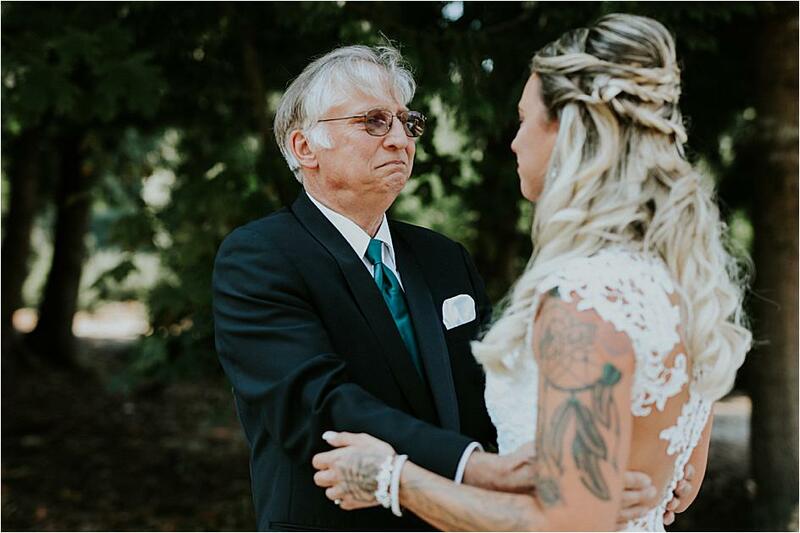 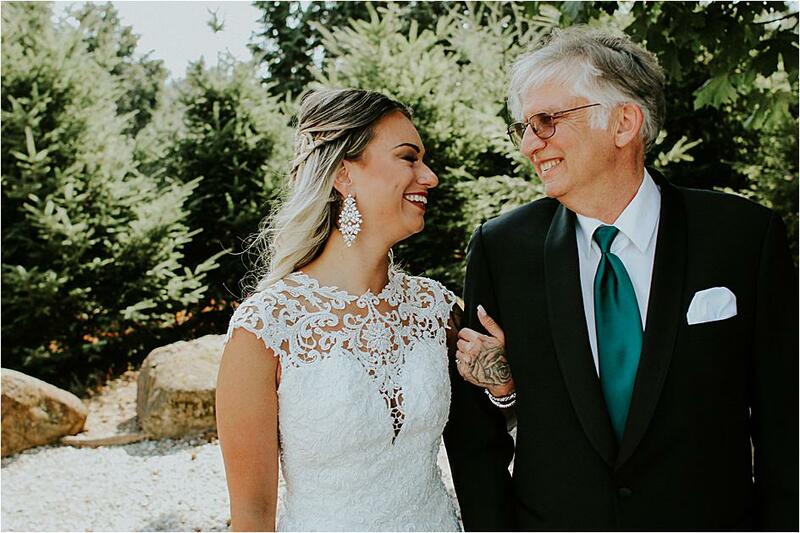 Benna and Vince were wed during a breahtaking wedding celebration planned by The Invisible Hostess at Trinity Tree Farm in Issaquah. 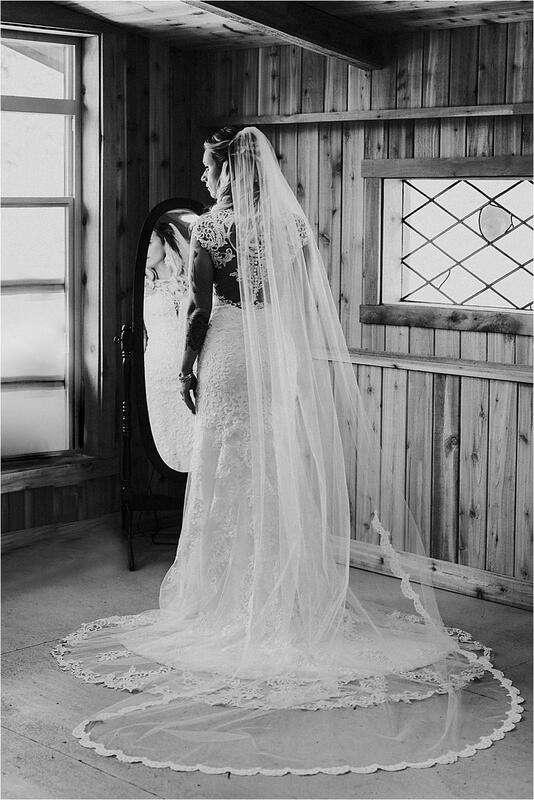 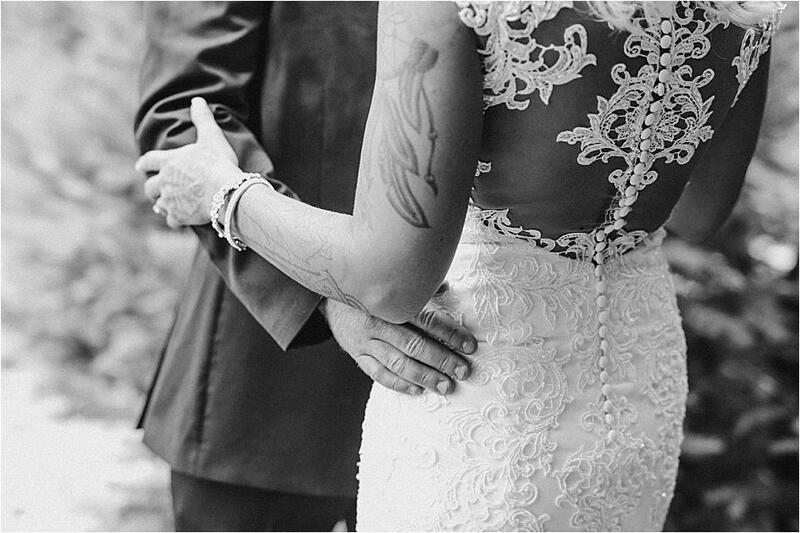 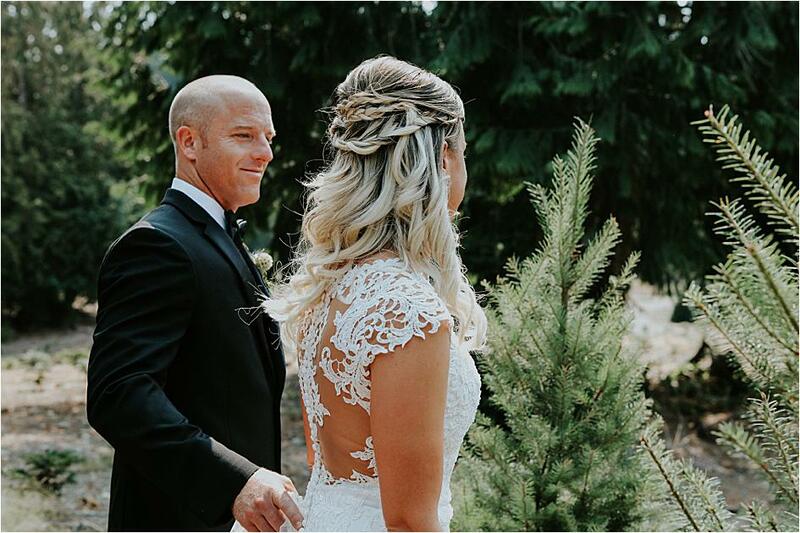 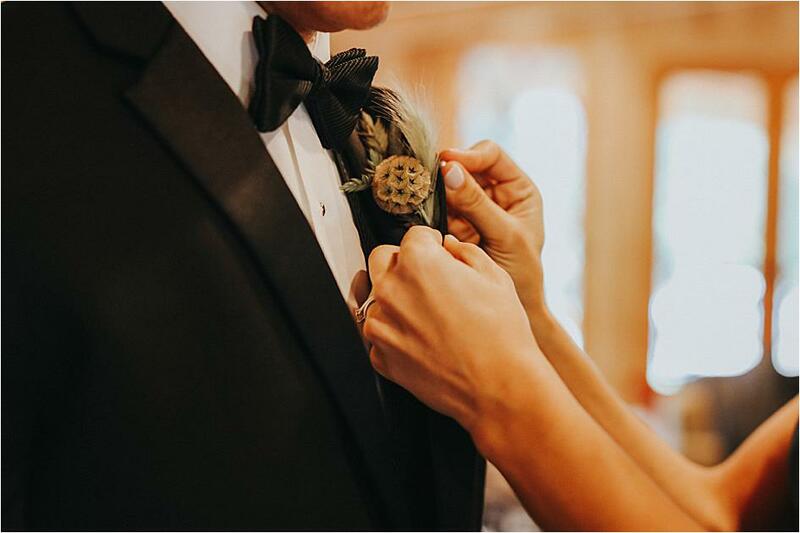 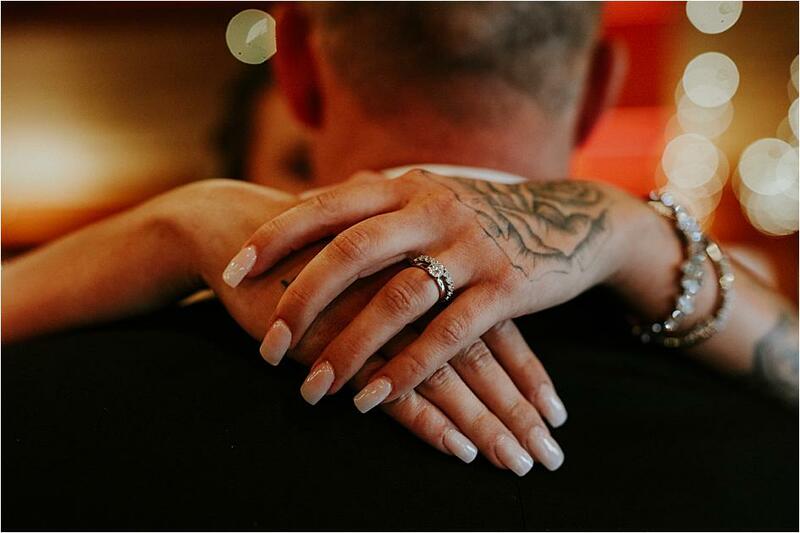 Benna stunned in a gorgeous wedding gown with lace detailing from Laineemeg Bridal and Vince opted for a black ensemble from The Tux Shop. 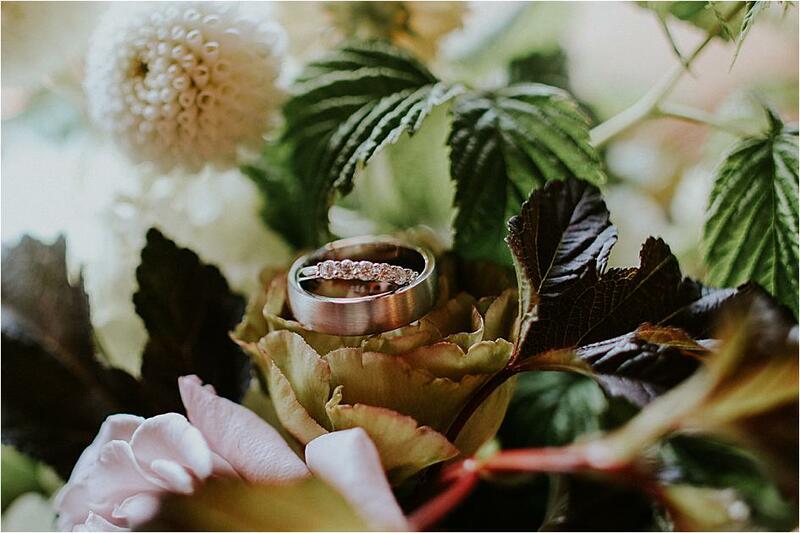 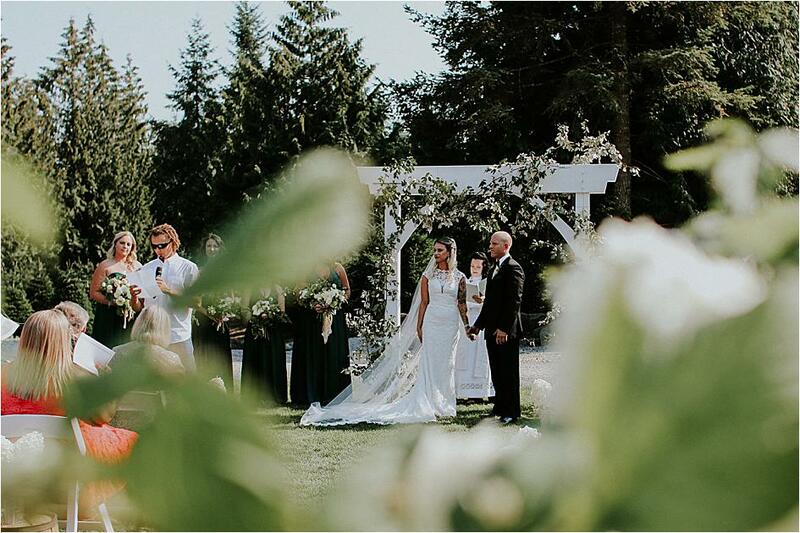 Flowers for the People crafted stunning floral pieces for the day, including a gorgeous bouquet for Benna and a dreamy ceremony arbor. 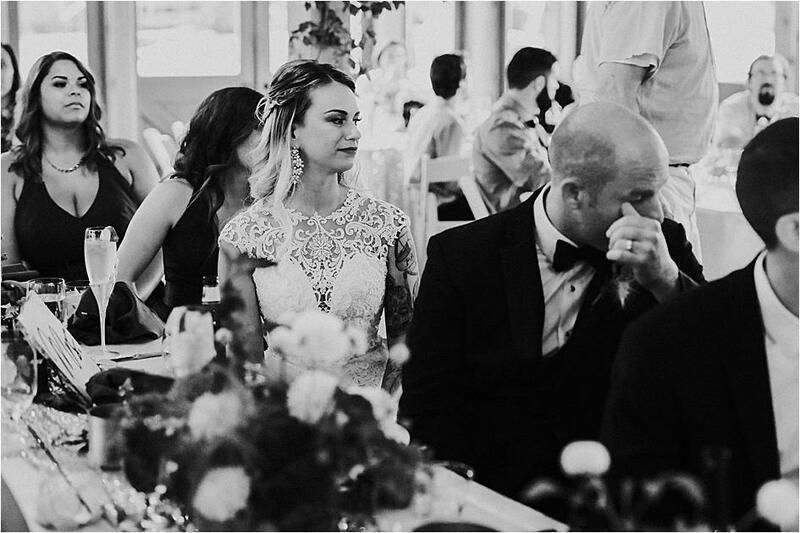 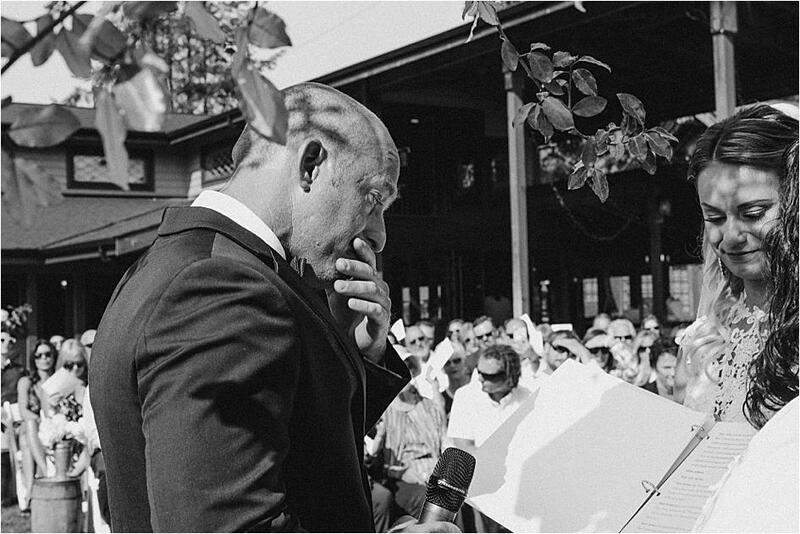 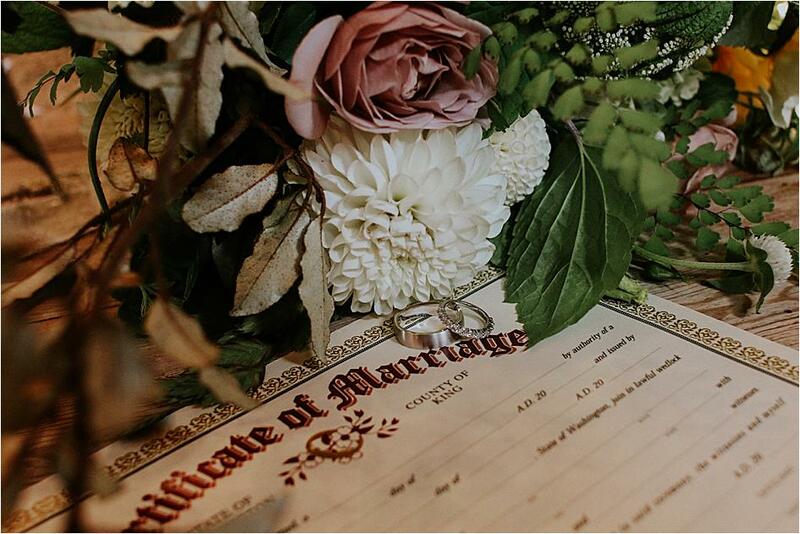 The couple recited their vows in front of their family and friends before inviting their guests to their incredible wedding reception. 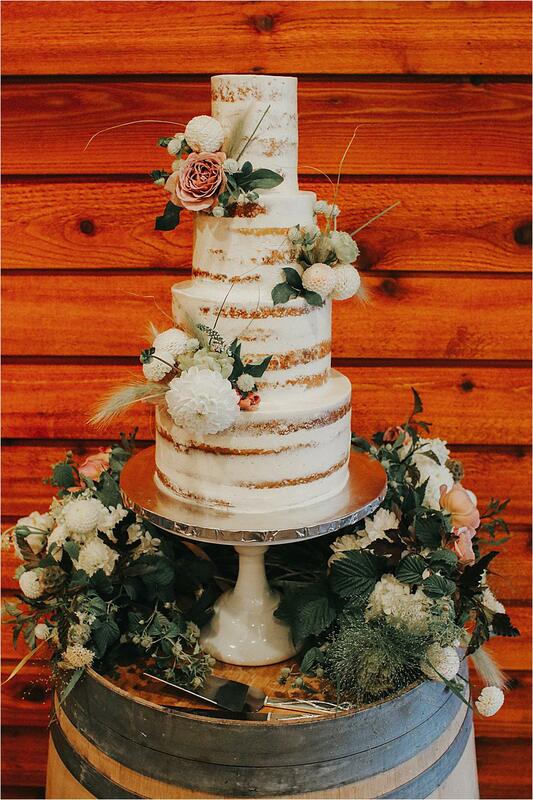 Twinkling lights made for a romantic ambience, and Savor and Swoon's amazing four-tiered semi-naked cake adorned in flowers served as the perfect end to this dreamy wedding day in Issaquah. 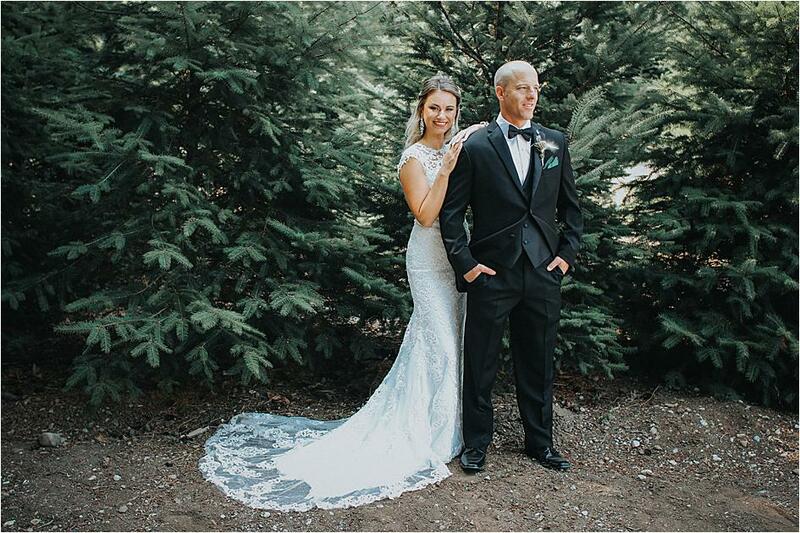 "We met back in 2011 when both were out with friends at the bar The Spot in Bellevue. 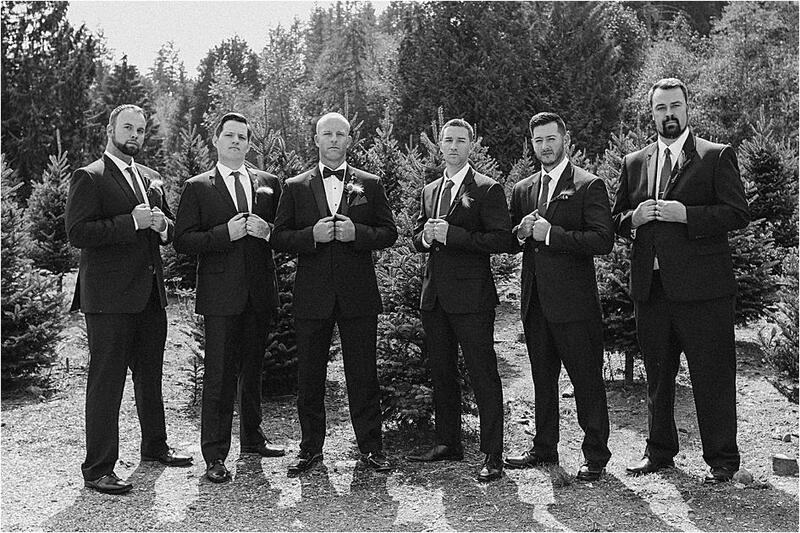 Fast forward to February of 2017 , we went on a cruise. 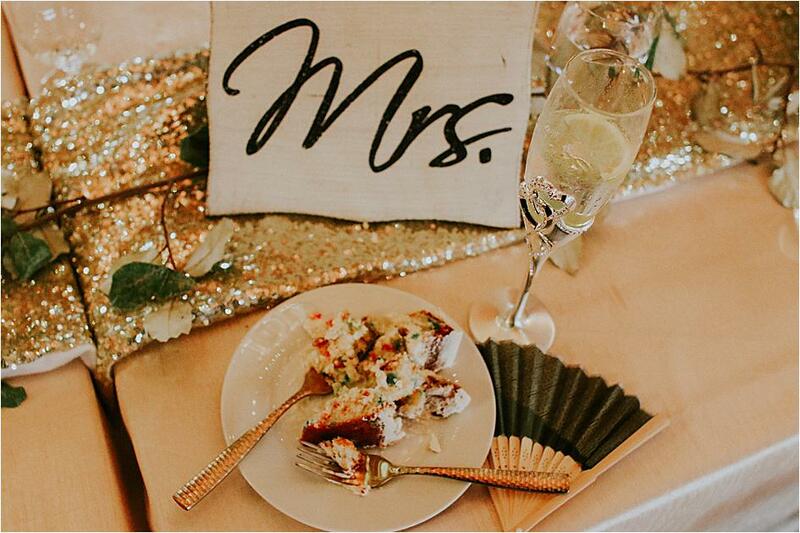 On the final night, I was presented with a napkin folded as an elephant with a ring on its trunk. 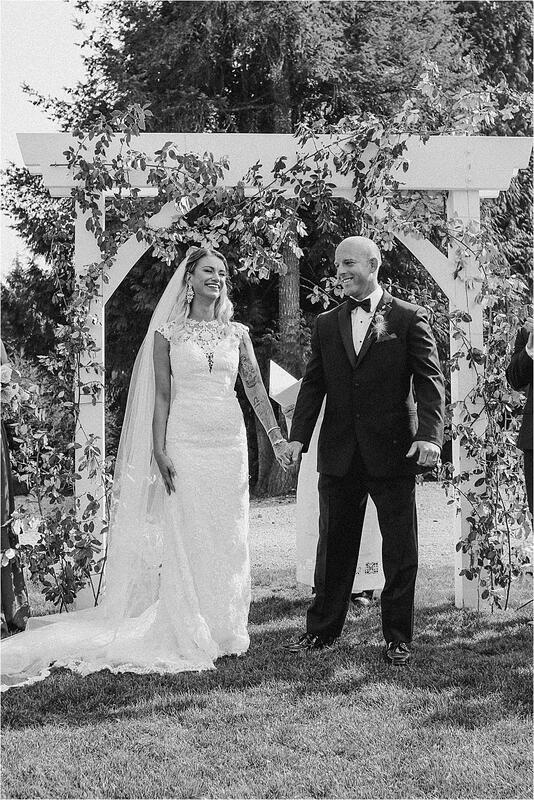 Between the cheers and clapping Vince asked me to be his wife. 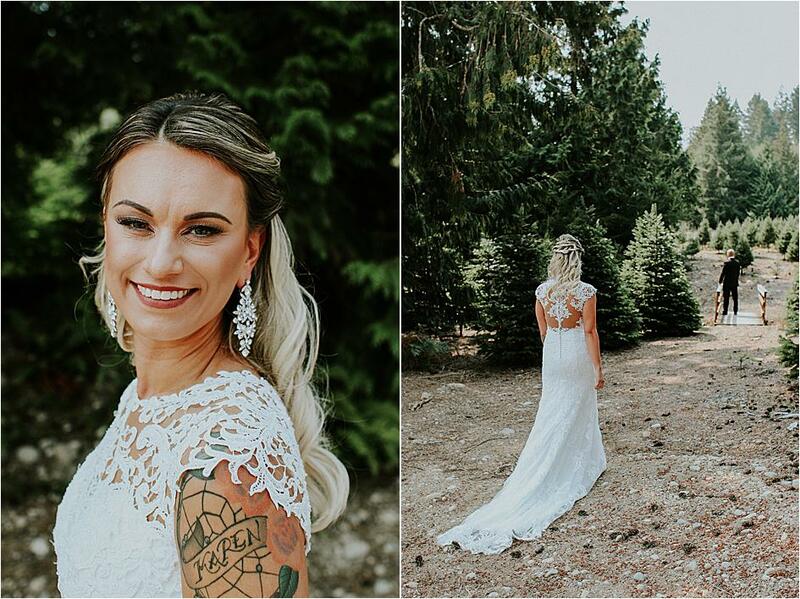 So the planning began over a year and a half engagement for our rustic glam wedding at Trinity Tree Farms. 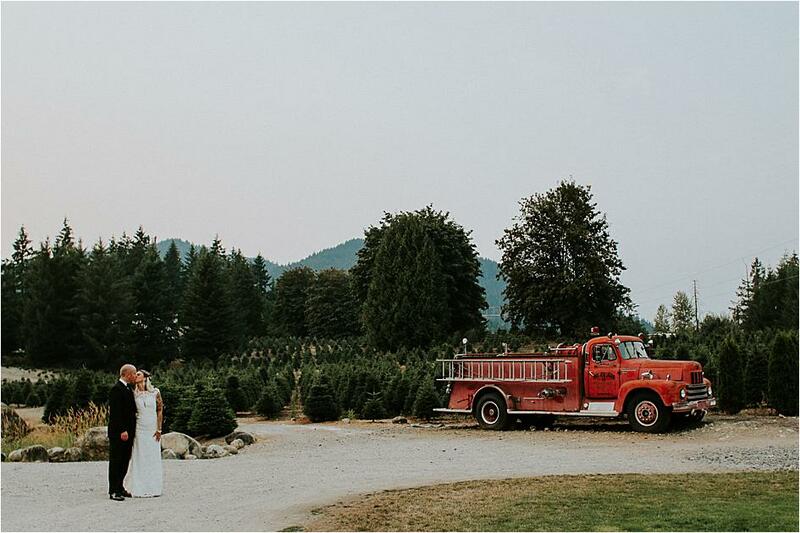 We wanted touches that played off of the esthetics of Trinity Tree Farms from the fire place to the trees to the spiral staircase and rustic fire truck. 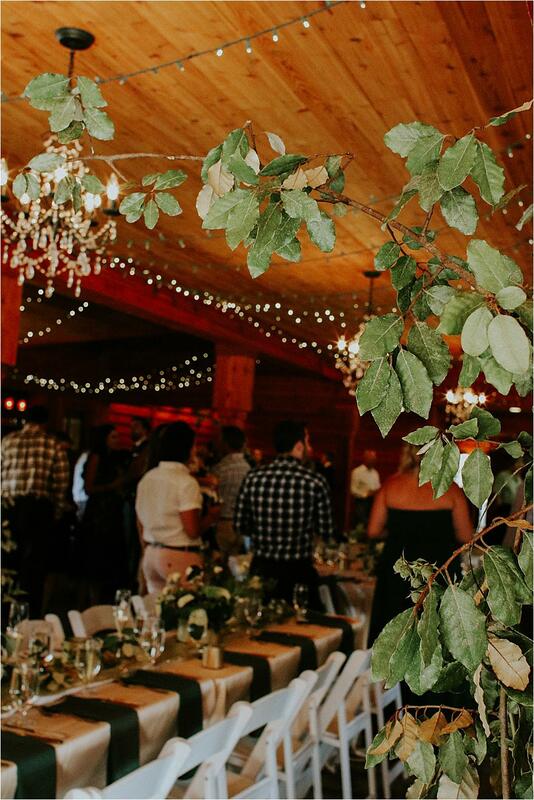 The idea was to bring the outside in with a classy glam touch. 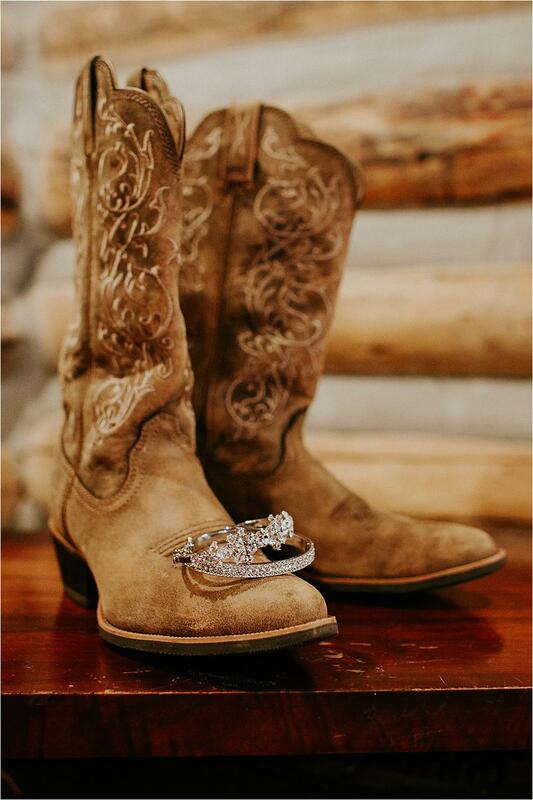 The idea flowed into my look as well with my classy glam wedding dress and accessories with the touch of rustic in my choice of shoes for the day, my trusty cowboy boots!" 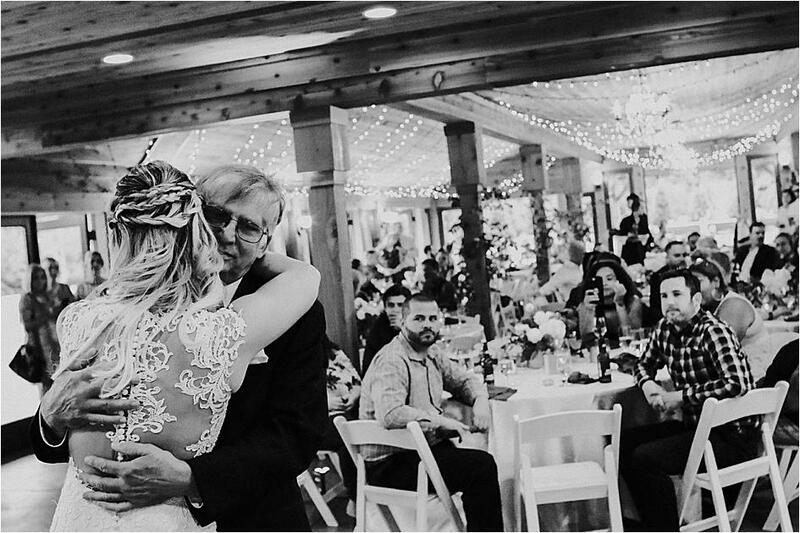 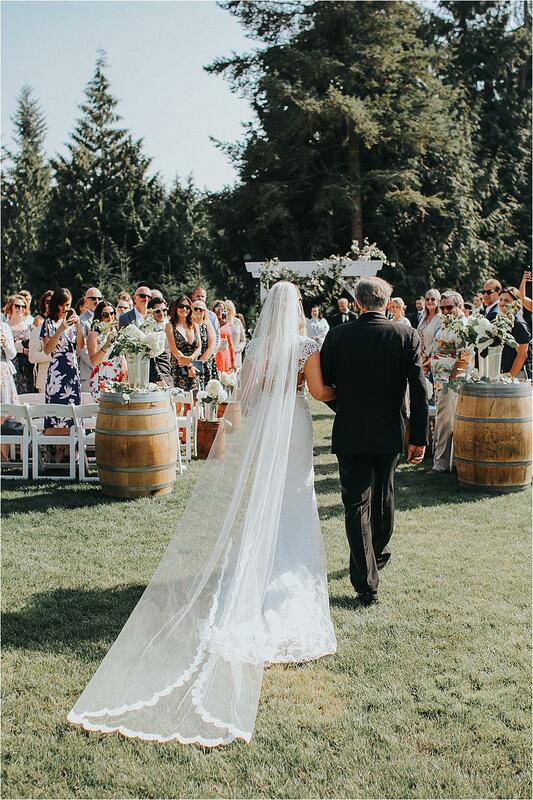 Leslie Hollaway and Brady Harvell’s intimate gathering at Fall City Farms was a truly unique celebration of love in the Pacific Northwest. 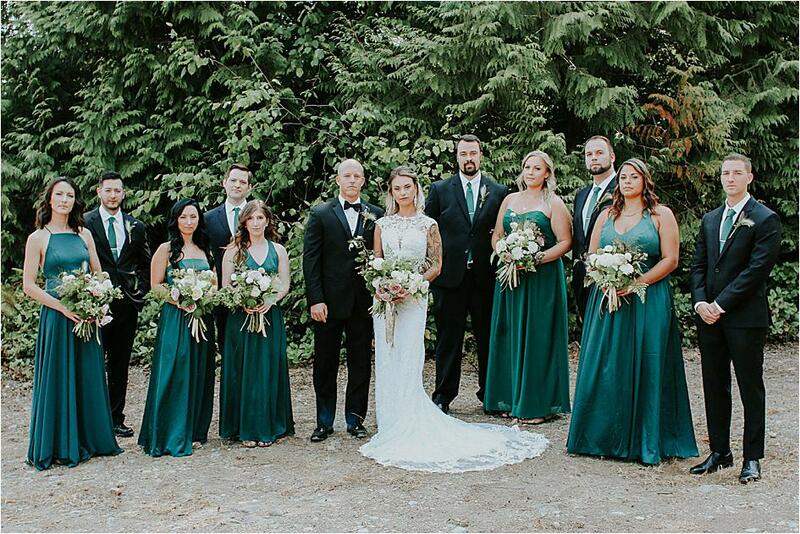 This gorgeous and romantic affair highlighted gorgeous hues of burgundy and green accented with shimmering golds and soft creams. 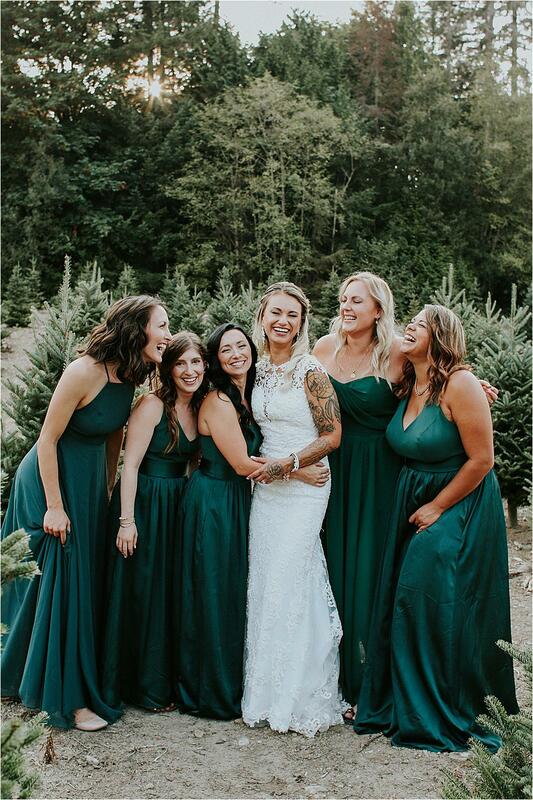 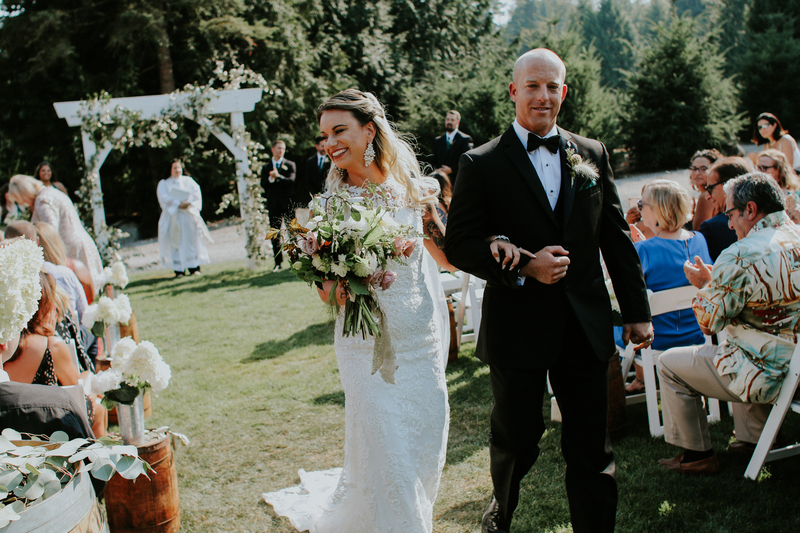 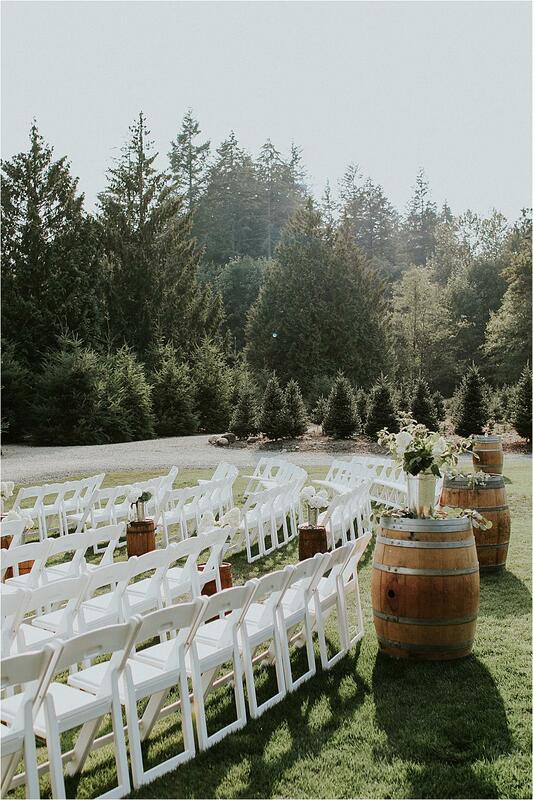 Ashley Almon and Jared Hauser envisioned a sophisticated garden party for their wedding at Bella Luna Farms in Snohomish. 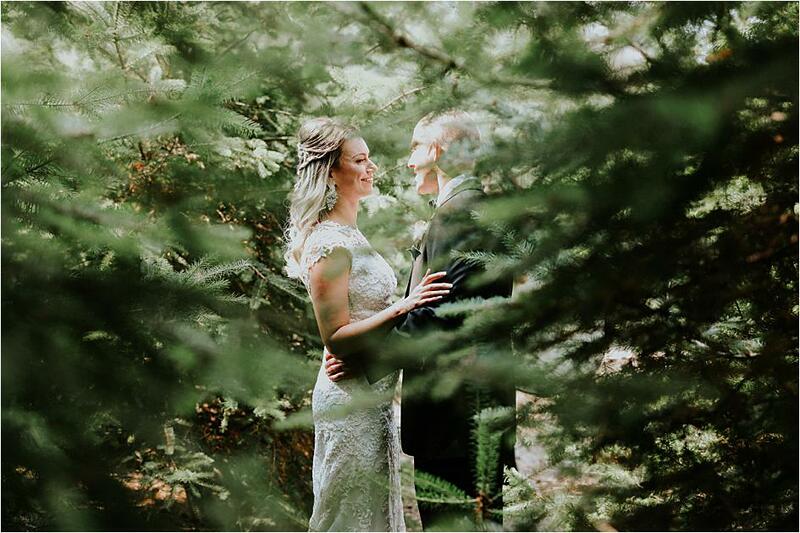 Instead of adopting either of their names, they chose a word that holds deep significance to them both: “merak,” which means “wonder” in Serbian.